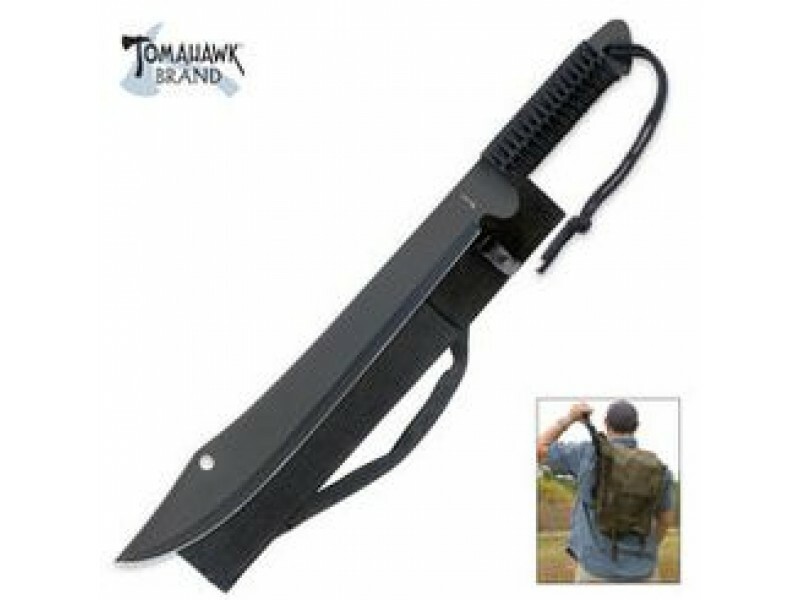 Buy Tomahawk Ninja Machete Knife , from Budk - RBC VISA for $9.49 only in My e-commerce. Cut your way out of danger! The powerful machete measures 20" overall and offers full tang one-piece construction. It features a 14 5/8" black stainless steel blade and black cord wrapped handle. 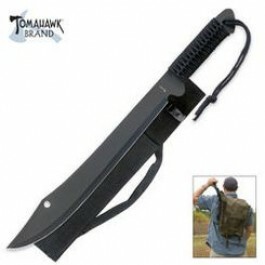 This machete includes a black nylon sheath with adjustable shoulder strap.